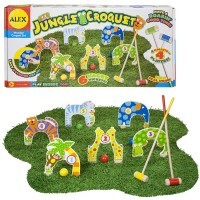 Count, play and learn with this wildly educational math toy set - Jungle Animals Counters from Learning Resources. 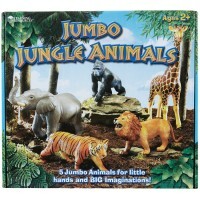 How many animals are in your jungle? 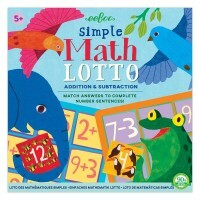 Your child will learn finding the answer pretty soon with this fun counting toy by Learning Resources. 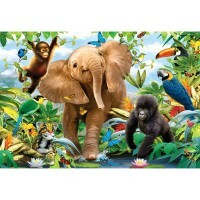 The Jungle Animals Counters 60 pc Counting Set comes really handy when you like to turn your child's play into learning. 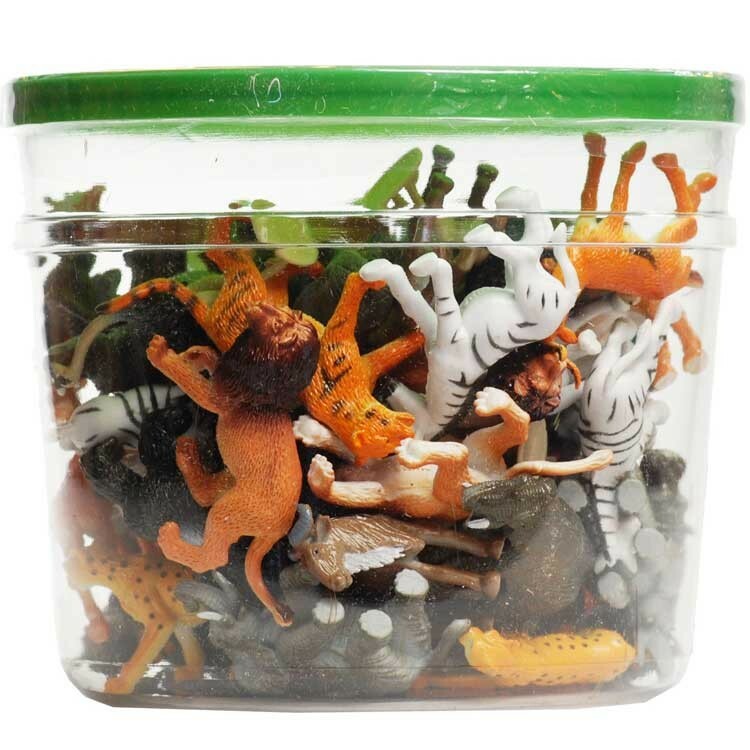 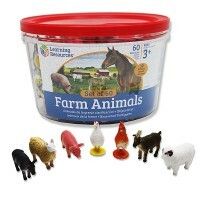 This math toy brings a bucket full of wild animals that your child can count, sort, identify and play with. 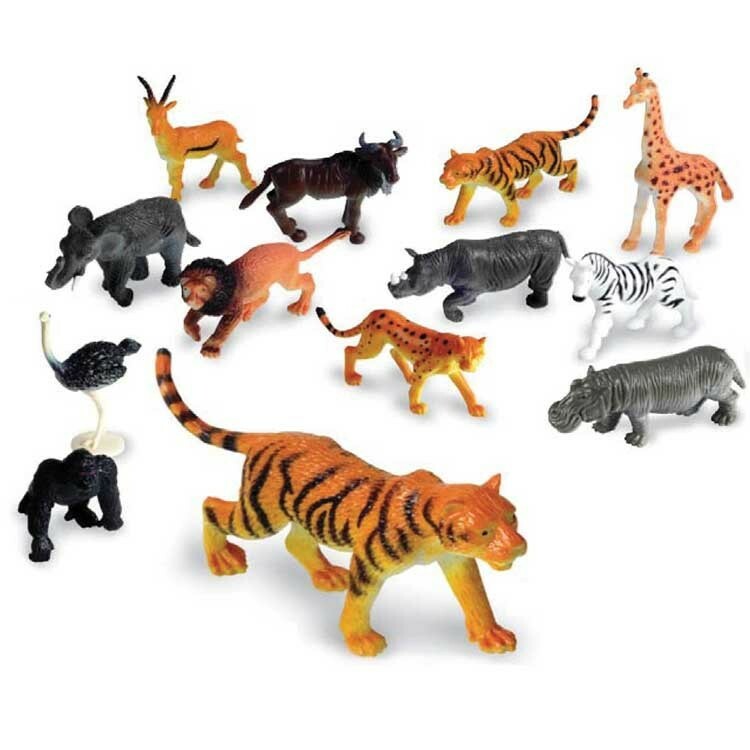 This math learning set contains 60 detailed jungle animal figurines including 5 each of 12 different species: giraffe, rhino, ostrich, elephant, tiger and more. 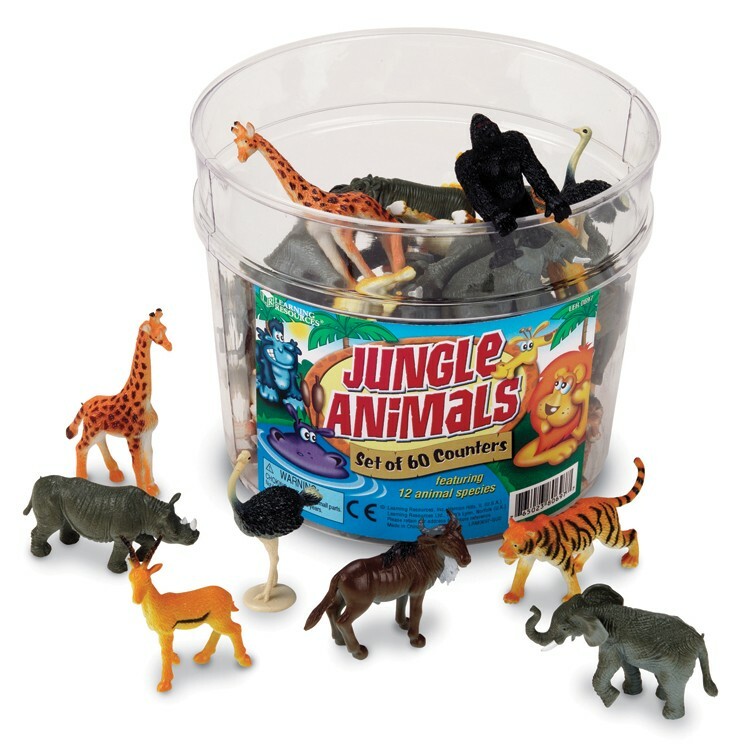 Kids will learn these exotic animals, build their own safari, and learn to count - all with Jungle Animals Counters 60 pc Counting Set. 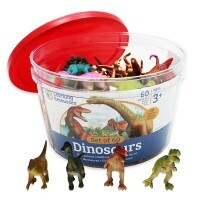 This math toy from Educational Toys Planet also features 'Did You Know?' 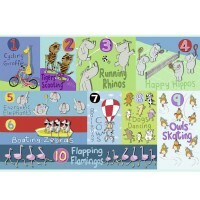 guide that presents fun facts about wild animals. 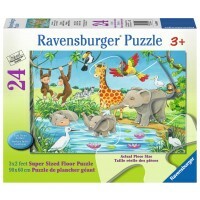 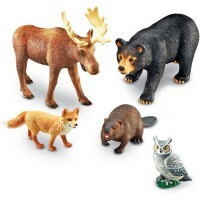 Dimensions of package 6" x 4.9" x 6"
Write your own review of Jungle Animals Counters 60 pc Counting Set.